They've produced some of the greatest moments and players in league history. 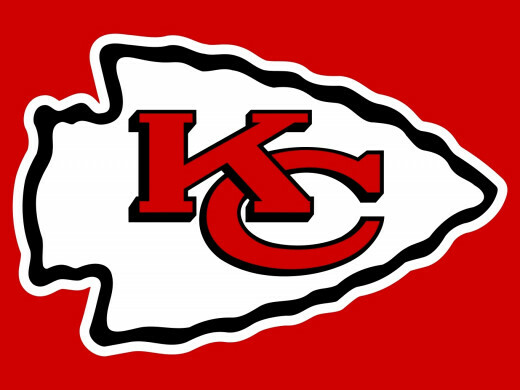 Today, rank the top 10 Kansas City Chiefs of all time. I know I've called him overrated, but he is still the second best quarterback in team history. 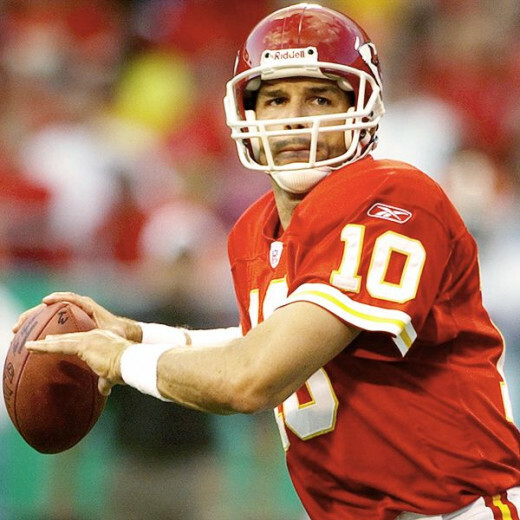 After spending time in St. Louis, Trent Green signed with the Chiefs in 2001. Surrounded by a talented offense, he flourished in the early 2000's. 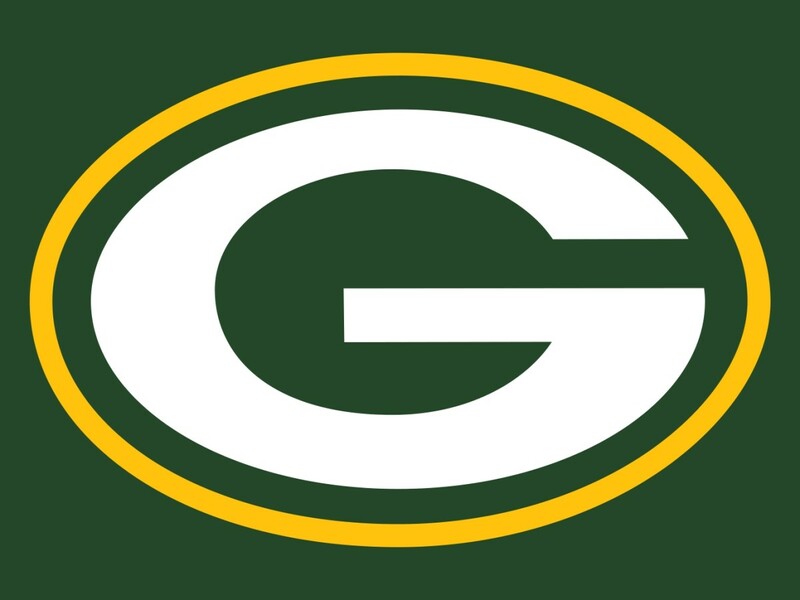 In 2003, Green had his breakout year, throwing for 4,039 yards, 24 touchdowns, and just 12 interceptions while leading the team to a 13-3 record. 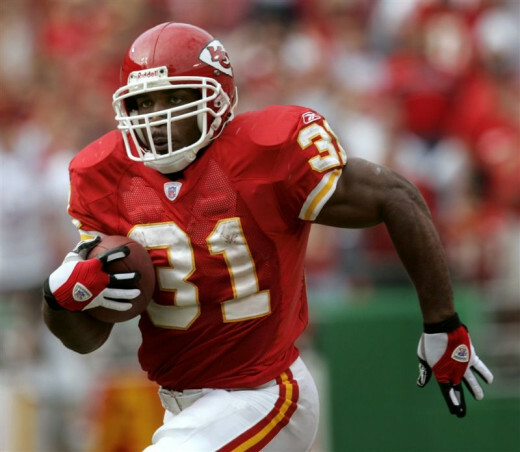 Despite a poor record and losing running back Priest Holmes midway through the 2004 season, Green still played well passing for 4,591 yards, 27 touchdowns, and 17 interceptions. 2005 proved to be hi most efficient seasons only throwing 10 interceptions, while throwing for over 4,000 yards and 17 touchdowns. Green spent his final seasons in Miami and St. Louis before retiring in 2008. He was a two time pro bowler and led the AFC in passing yards in 2004. He is one of the most consistent guards ever to play the game. A third round pick in 1993, Will Shields played in every game from his rookie year to his retirement. 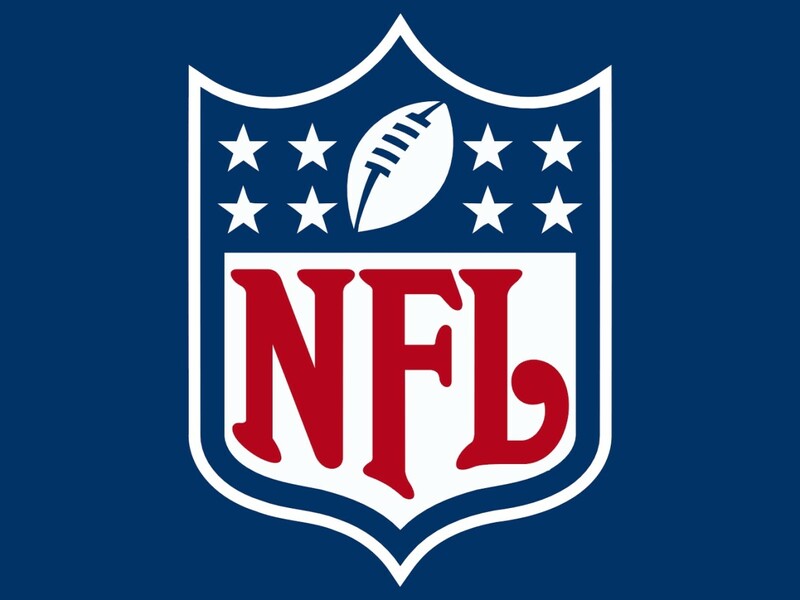 He was an important part in the Kansas City Chiefs offensive line, consisting of Hall of Famer Willie Roaf and pro bowler Brian Waters, that consistently led the team to a top five finish in rushing offense. Shields blocked for Marcus Allen, Priest Holmes and Larry Johnson during his career. He had blocked for 1,000 yard rushers for five seasons and blocked for 4,000 yard passers for five seasons. In fourteen seasons, Shields never missed a game and only failed to start a game in his first game as a rookie. Shields retired after 2006 as starting more games than any Chiefs player in history. 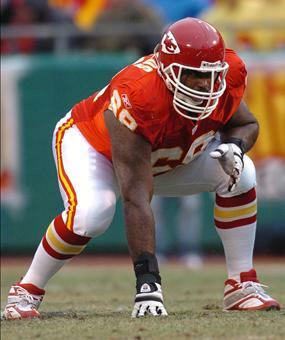 He was a Chiefs record 12 time pro bowler, seven time All-Pro, and a member of the 2000's all decade team. He is the most prolific running back in team history. After spending four seasons in Baltimore, Priest Holmes signed with Kansas City in 2001. In his first season with the team, he led the league in rushing becoming the first undrafted player to do so. In 2003, he broke Marshall Faulk's NFL record for total touchdowns in a season with 27, which has since been broken. Holmes is one of two running backs in league history to have back to back seasons with 20 or more touchdown runs. A spinal cord injury forced him to miss much of the next to seasons. He is Kansas it's all time leading rusher with 5,933 rushing yards and 76 touchdowns. Holmes retired in 2007 as a three time All-Pro and pro bowler, Super Bowl champion, and the 2002 offensive player of the year. "Contact" was the first black middle linebacker to play professional football. A second round pick in 1967, Willie Lanier beat out fellow rookie Jim Lynch to become the team's starting middle linebacker. He is most famous for helmet with extra padding along the top. The padding was not on the inside of the helmet to protect Lanier but rather on the outside of the helmet to protect the player he was tackling due to his uncontrolled tackling. His most famous play came in the 1969 divisional play off game when Lanier and the defense kept the Jets from scoring a touchdown on a one yard, goal line stand. Lanier helped the team win Super Bowl IV in the AFL's final season and recorded seven tackles and an interception in the game. 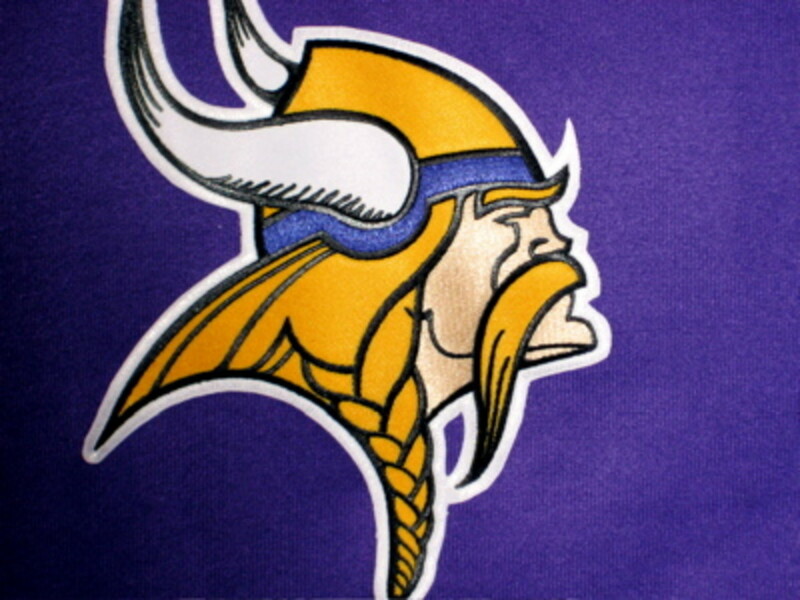 During his time in the league, he was considered the leagues best middle linebacker. Lanier retired as a six time pro bowler, eight time All-Pro, and Super Bowl champion. He was inducted into the Hall of Fame in 1986. He is still seen as the best cornerback in team history. 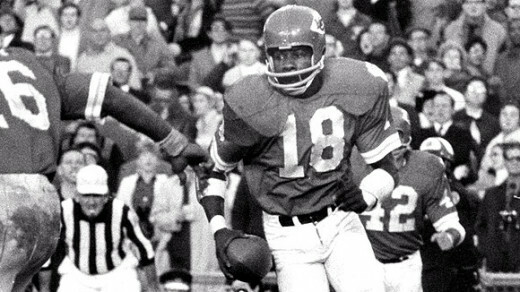 After going undrafted in 1966, Emmitt Thomas signed with Kansas City. He was a genius in the back field and still can’t be matched on the Chiefs to this day. In 1969, Thomas led the league in interceptions with nine and helped Kansas City win Super Bowl IV. In 1974 he led the league in interceptions again with 12, two short of the NFL record. Thomas is Kansas City's all time leading interceptor with 58 and has scored five touchdowns from those picks. His interception total ranked fifth all-time in the NFL at the time of his retirement and is still fourth best among true cornerbacks. Thomas retired after the 1978 season as a five time pro bowler, four time All-Pro, and Super Bowl champion. He was inducted into the Hall of Fame in 2008. He was the first black number one overall draft choice in professional football. The first overall pick in 1963, Buck Buchanan had the physical size plus the athletic instincts to be exceptionally successful at his job of foiling opposing offenses. In 1967, he batted down 16 passes at or behind the line of scrimmage. In spite of the weekly pounding he took on the line of scrimmage, Buchanan was extremely durable. He played in 182 career games that included a string of 166 straight. 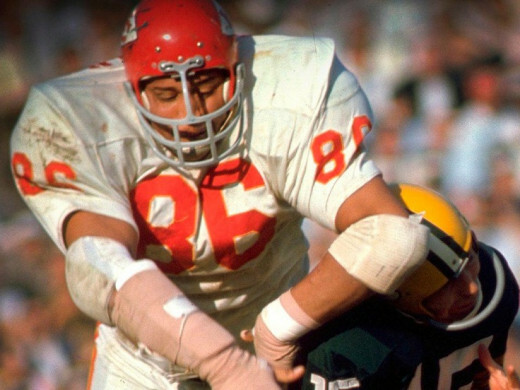 He led the defensive line to only allowing 67 yards in their Super Bowl IV victory. 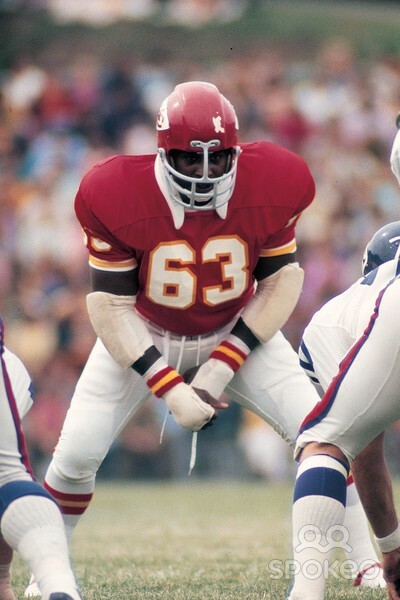 Buchanan retired after the 1975 season as a six time AFL All Star, two time pro bowler, six time All-AFL, a 1971 All-Pro, and Super Bowl champion. He was inducted into the Hall of Fame in 1990. He was the best outside linebacker during his time in the league. A second round pick in 1963, Bobby Bell made an instant impact on the defense. He was noted for his one of a kind athleticism at 6' 4" and 230 pounds and was reported to have run a 4.5 40-yard dash. Bell was possibly the most physically gifted linebacker in professional football history for his speed at such a size made him ideal at outside linebacker. He was noted as one of the finest open-field tacklers in league history, and if he missed he had the speed to make up for it. Bell shares an NFL record with Derrick Brooks with the most career interceptions returned for touchdowns by a linebacker. He was talented enough to play all 22 positions and play them well. 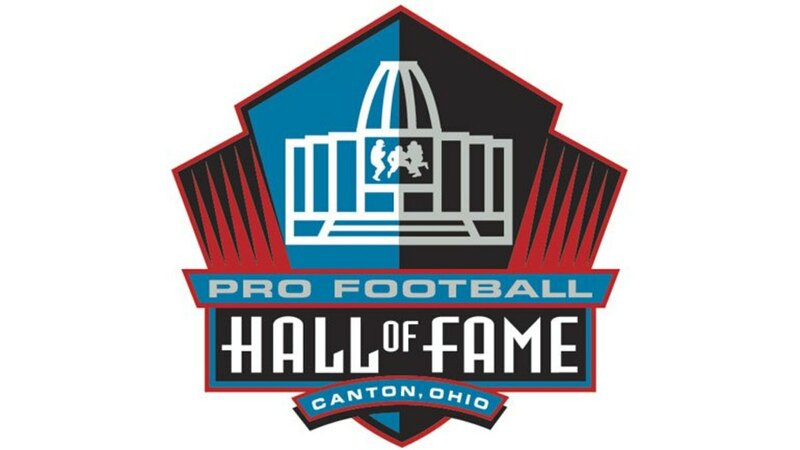 Bell retired after the 1974 season as a six time All-AFL and AFL All Star, three time pro bowler, two time All-Pro, and Super Bowl champion. He was inducted into the Hall of Fame in 1983. "D.T." was the best pass rushing linebacker of the 90's. 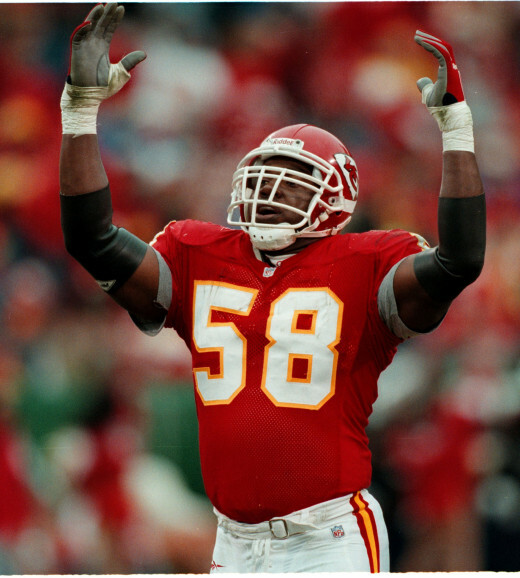 A first round pick in 1989, Derrick Thomas instantly made an impact on defense recording 10 sacks and was named the defensive rookie of the year. He was best known for his ability to sack the quarterback and holds the NFL record for sacks in a game with seven. The next player to come close to breaking this record was Thomas himself recording 6 sacks against the Raiders in 1998. He is one of only 25 NFL players to achieve 100 or more sacks. Thomas established Chiefs career records for sacks with 126.5, safeties with three, fumble recoveries with 19, and forced fumbles with 41. He ranks 12th in league history for sack totals. Thomas passed away in 2000 from a blood clot he sustained in a car accident. In his 11 seasons, he was a nine time pro bowler, six time All-Pro, an a member of the 90's all decade team. He was inducted into the Hall of Fame in 2009. He is one of the most underrated quarterbacks in league history. 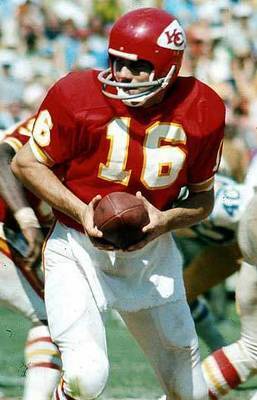 After spending his first five seasons in Pittsburgh and Cleveland, Len Dawson signed with Kansas City in 1962. In his first season with the team, led the AFL in touchdowns and yards per attempt and was named the leagues MVP. A pinpoint passer, Dawson's mobility helped him flourish in Stram's "moving pocket" offense. He would win four AFL passing titles and was the leagues highest rated passer. From 1962 to 1969, Dawson threw more touchdown passes than any other professional football quarterback during that time. He was named Super Bowl IV MVP after completing 12 of 17 passes for 142 yards and a touchdown, with an interception, and rushing for 11 yards. 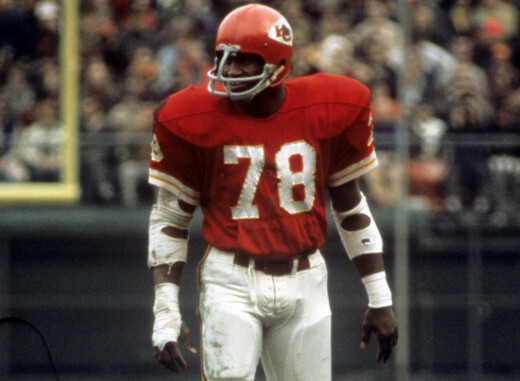 Dawson retired after the 1975 season as a six time AFL All Star, four time All-AFL, a 1971 pro bowler, Super Bowl champion, and Super Bowl MVP. He was inducted into the Hall of Fame in 1987. He is statistically the best tight end in league history. A first round pick in 1997, Tony González proved himself to be the Kansas City offense's most dangerous weapon. He was one of the first players to incorporate his skills as a basketball player into football. From 2000 to 2006, Gonzalez was the most productive tight end in the NFL. During this time he averaged 79 receptions, 968 yards, and 6.5 touchdowns per season. His best season statistically came in 2004, when he caught a then NFL record for a tight end 102 passes for 1,258 yards and seven touchdowns. 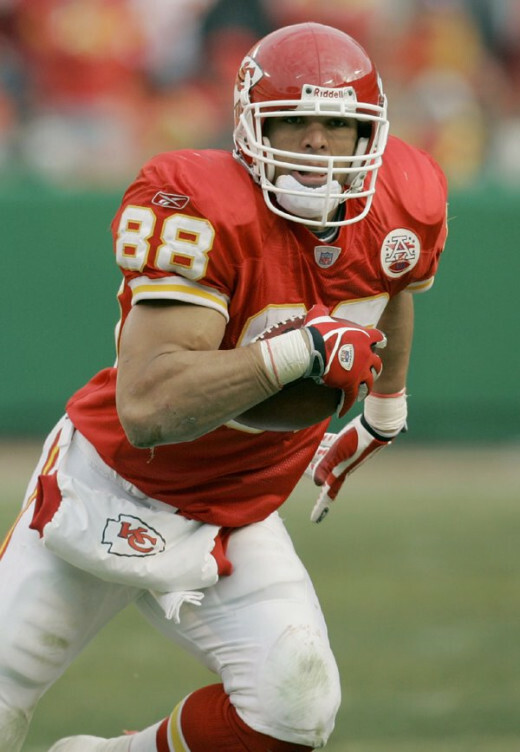 During his time in Kansas, González became the NFL's all time leading tight end in receptions, yards, and touchdowns. González spent his final seasons in Atlanta before retiring in 2013. He made an NFL record 14 pro bowls, was a 10 time All-Pro, two time tight end of the year, the first tight end to record 1,000 receptions, and holds every major NFL record for a tight end.